Very classic moments throughout. Harley failing to comfort/love the Joker. 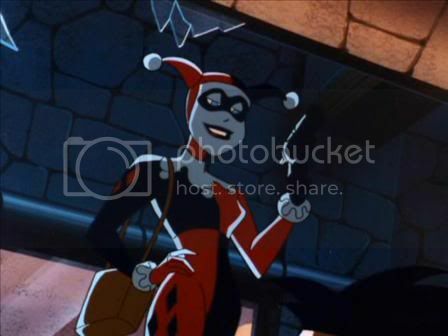 Harley taking Batman on her own. Hearing Batman laugh (very creepy). That, and classic “victim of abusive boyfriend” psychology right at the end. Also, this was the telling of how Harleen Quinzel became Harley Quinn, and I love origin stories!! Even if they are once I’ve seen a dozen times over, lol. Here, I really get a “Single Dad” feeling from Bruce. Finds someone who makes him happy and lets the kids take over the business. This was a classic Ivy plot, but the fact that so much love got involved makes it so much crueler. Wayne’s wife almost made me want him to go back and get her during the last scene. She seemed so helpless. Very good emotional pull. 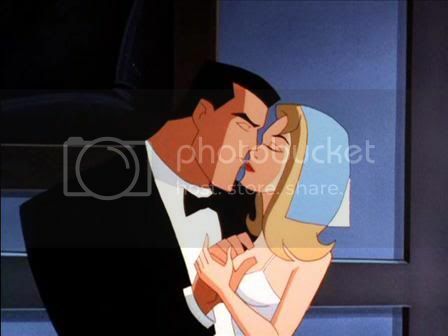 In the comics, I don’t believe Batman was ever married, though I could be wrong considering how little DC I read. (I only took the time really to read Blue Beetle). But, they pulled it off if not for only the one episode. Yay, Freakazoid!!! Oh, I mean Creeper!! 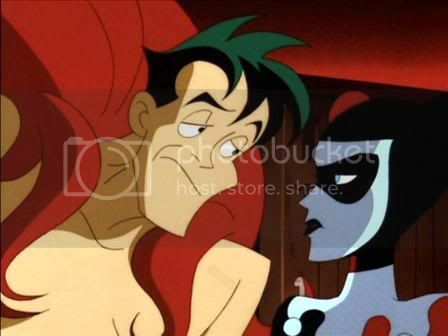 For those that don’t know, the Creeper was actually the first idea for Freakazoid, who is the freak below. As you can see, a lot has changed. But he’s still so whacky!! I love it!! The JOKER called him a lunatic!! There are so many amazing moments here. I just love it!! I can’t say much else!! One last note? The henchmen were the Three Stooges. 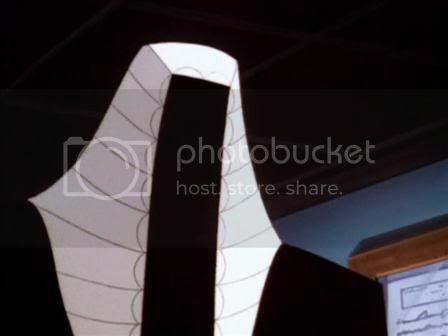 The Judge seemed to be such a gritty vigilante I think he outdid Batman in that department. I could see so much potential in him as an actual supernatural entity like a ghost-like one from DC I saw before, though I can’t place a name. I think it was along the lines of Spirit but I can’t be sure. The actual origin of the judge wasn’t what I expected, but nicely done all the same. It’s safe to say I didn’t see it coming, and I won’t spoil it for anyone. I may see a bit of a missed opportunity, but the result was promising, good to watch if you’re into the darker episodes. I thought I'd seen every episode of this series but I don't remember seeing the Creeper one. I remember reading the original Creeper comic book back in the 1960's which was by artist Steve Ditko. one of my friends from the Deadpool Forum, aracnineryu, has had me proofread quite a few issues of the Creeper fanfic she has. She's done some nice drawings as well. In that light, I can't say I'm unfamiliar with the character but this is the first time I experianced first-hand what he was like.